SAN FRANCISCO—At its public meeting on February 25-26, the Judicial Council will consider a pilot project to test video remote interpreting and other language access improvements, as well as a revised plan for a new courthouse in Sacramento. The council will consider a proposal from its Language Access Plan Implementation Task Force to pilot video remote interpreting (VRI) technology in the trial courts, which would inform a long-term VRI strategy for the judicial branch. The task force also recommends the council adopt a model notice translated into eight languages that would inform limited-English-proficient court users about the availability of language access services. The council will consider a recommendation from its Court Facilities Advisory Committee to approve the scope, schedule, and budget for a new courthouse in downtown Sacramento. The new courthouse would consolidate services and criminal and civil cases in a single secure 53-courtroom facility, replacing the overcrowded and inadequate Gordon D. Schaber Courthouse. Council approval would enable staff to seek executive branch approval for a scope change for the project, after which it could move into architectural design. Request for Reserve Funding: The council will consider a request from the Superior Court of Tehama County for $498,000 in supplemental funding. The Tehama court’s request stems from extraordinary expenditures related to its information technology infrastructure after malicious actions in July 2015 rendered the court’s case management system, telephones, exchange server, jury system, shared and individual drives, and website non-operational. The council is required by statute to set aside 2% of the total funds appropriated annually in the Trial Court Trust Fund for urgent needs of the trial courts. After March 15, any remaining funds from the 2% set-aside is distributed to all trial courts. Judging, Unconscious Bias, and Decisionmaking: The council will hear a presentation on current research in social psychology and cognitive science which suggests how judges, attorneys, and justice partners might reduce the influence of unconscious bias on decisionmaking. 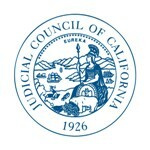 The presentation will also highlight efforts to provide training and information within the California judicial branch. Tribal Court-State Court Forum: A special presentation will honor Judge Richard C. Blake, former chair of the council’s Tribal Court-State Court Forum, and will chronicle the forum’s accomplishments and its future. Established in 2010, the forum makes recommendations to the council for improving the administration of justice in all proceedings in which the authority to exercise jurisdiction is shared between the state judicial branch and tribal justice systems. The February 25-26 meeting agenda and council reports have been posted online, and a link to the live videocast of the meeting will be on the California Courts website on meeting days.